In simple terms cash flow refers to the “flow of money coming in and out of your business.” Cash flow excludes non-cash accounting items like depreciation, provision for taxation and transaction items like account receivables. A cash flow statement explains the sources from where money comes from and how this money is utilised. If you have customers who are not paying your dues in time, try to find ways to improve your collection efforts. This could be done by sending your customers reminders of payment due dates or calling your customer’s mangers to expedite the payment of your dues. You could also remind them of penalties for late payments. If you do not have a system of penalties for late payments, you should consider implementing one. You can offer your customers attractive incentives such as cash discounts for prompt payment. This will help improve your cash flow position while keeping your customers loyal to you. Just as you are offering cash discounts to your customers, you can take the advantage of cash incentives offered by your supplier. This means that you will have to pay your suppliers earlier but the amount to be paid will be considerably less. If you do not consider this as a valid option then you can start negotiations with your supplier to extend your payment terms. This will give you more time to collect money from your customers and pay your suppliers. It will be more prudent for you to sell your products to existing customers than it is to unknown customers. This will certainly be more profitable for you and less expensive to execute than it would be for new customers. You can inform your existing customers of the products and services that you are offering for sale. You can explain the benefits of your premium products or services. This will go a long way in your cash flow position. Besides, your customers will benefit from the knowledge of your products and services that they were previously unaware. Using credit cards is a convenient way of improving your cash flow position. The main factor here is to use a billing cycle as well as grace period to delay payments. This method will only work if you can pay off your balances within the billing period of each cycle. Let us assume that your billing period begins on the 15th of every month. Your credit card company will take all your charges from the 15th of the previous month and the current month. These charges are included to your bill and a grace period of twenty-five days is for you to make the payment. During the grace period, interest is not chargeable. This will help you to make payment on purchase earlier and pay for them later. The above methods can really make a positive impact on your cash flow finance and your profits. Be Your Own Boss with an Invoice Finance Company! Everybody can be their own boss by starting a small business venture. It is very attractive and appealing to work for no one else but for your own self. This will help you to achieve your own dream in the best possible manner. You will make decisions for your business enterprise and make profit out of your endeavours. How to give it a kick start? You all know that to start a business you need to undertake few steps. 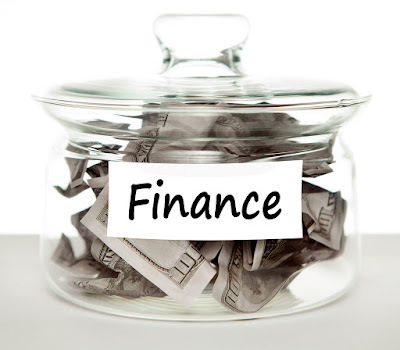 Staring an invoice financing company would be a piece of cake if you do it wisely and of course efficiently. However like all other industry, financing industry also has some accounting standards which young need to take care of. Why go for training to start a business invoice finance company? You can go for training under professionals and associations to understand the Business Invoice Finance. There are certain publications that can provide you with necessary educational expertise and guidance to deal with the nitty-gritty if invoice financing industry. These publications have perspective also highly enriched experiences of professionals that will help you have an insight into the financing sector. This will not only assist you to kick start your own financing company but also to grow it eventually in the long run. You can also take up specific financing for cash flow business, as it will help you concentrate on one particular industry thereby helping you to reap early profits. You should try to go for an industry which is known to you sot that you can have an edge over the host of competitors in the market. How to go about starting a business of invoice finance? As you will be the world of entering into the business invoice finance, you need to be well aware of the risk that such business entail. You might have unpleasant experiences like any other venture. However it has the other side to the coin that gives you heavy profits in terms of financing fees. You need to keep your focus right. Have all the necessary data about the client you are dealing with to prevent future losses. Keep the history of your client property sorted so that you may not go wrong in making your choice. Even if you are funding a small business venture to accelerate their growth, check the invoice of the company thoroughly and also cross-check the background of the debtor to avoid hassles later. Some financing companies do face trouble at the debtors end leading to sporadic or failed payment cases. You need to be more cautions while getting into business invoice finance, as any unwise decision might cost you heavily. You can trust your client but up to a certain extent but be reasonable at the same time. Be sure that the debtor has no qualms about sending the payment to you directly in a hassle-free manner. There are instances where customers do not like dealing with invoice financing companies. As such this issue should be clarified before you purchase company invoice of any business enterprise. If you are not cautious about such factors it is likely that you will get burned frequently in the beginning. Business Invoice Finance. Simple theme. Theme images by gaffera. Powered by Blogger.